Muffin Break is to serve up an opportunity to its customers to help make terminally ill kids’ dreams come true, after announcing a partnership with children’s charity Make-A-Wish UK. The national high street café chain is to offer special Make-A-Wish muffins across its 58 UK stores during selected months in 2017, with 20p from each of the promotional muffins going towards the Make-A-Wish UK charity. Each store will offer the Make-A-Wish Muffins during special March, May, July, September and November promotional months. The Muffin Break stores will be decorated with Make-A-Wish branded balloons and bunting, promotional Muffin Spikes to differentiate the Make-A-Wish muffins, badges and a collection tin on the counters to enable customers to donate additional funds to the charity. Muffin Break will also donate a £50 voucher to the family of each child or teenager selected to celebrate their wish coming true, this can be spent at their local Muffin Break store. The link-up with Make-A-Wish UK follows on from a similar partnership between Muffin Break and Make-A-Wish in Australia, where thousands of pounds has already been raised to ensure the cherished wishes of thousands of children and teenagers battling terminal medical conditions come true. The Muffin Break UK stores will give regular fundraising updates on the new partnership during the year, enabling customers to find out how their efforts have helped grant individual children’s wishes. 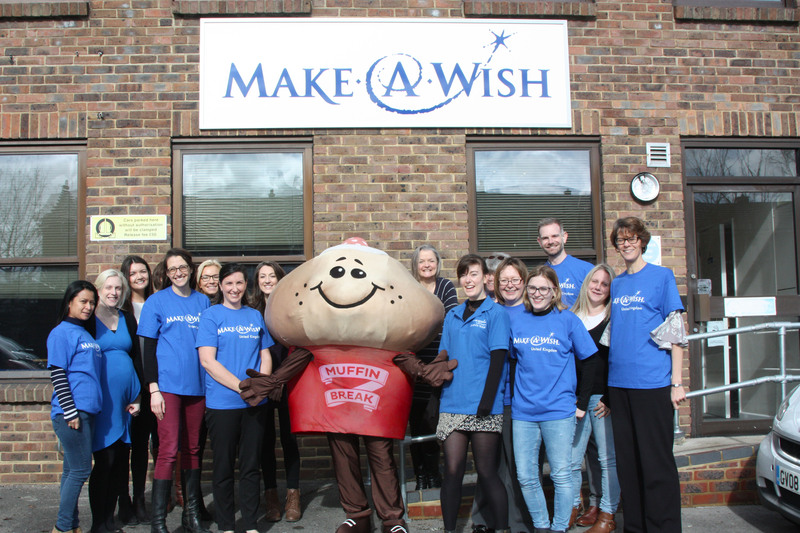 Gemma Sandells, Muffin Break’s Marketing Manager, said: “We are very excited to announce our new partnership with Make-A-Wish UK and are proud to support such a worthwhile cause. “The Make-A-Wish muffins are a great opportunity for our customers to enjoy one of our delicious, freshly baked muffins while at the same time knowing they are helping seriously ill children and teenagers make their cherished wishes come true at an incredibly difficult time in their lives. Alice Collins, Director of Fundraising at Make-A-Wish UK, said: “We are absolutely delighted that Muffin Break has chosen to support Make-A-Wish UK. “Their support will help grant magical wishes to enrich the lives of children and young people who are fighting a life-threatening condition. Muffin Break is a growing portfolio of artisan specialist cafes, which serve more than 200 muffin flavour combinations and favourite food options such as sandwiches, toasties, wraps, paninis, baguettes and a sweet selection. All items are freshly baked in store and as well as fresh food a wide range of hot and cold drinks are available to customers, including a bespoke coffee blend which is made from 100% Arabica beans.